ABSTRACT: The present paper reports on the effect of poly(ethylene glycol) (PEG) addition on injectability, setting behaviour, and mechanical properties of calcium phosphate cement (CPC) for injectable bone filling applications. Calcium hydroxide, Ca(OH)2, and diammonium hydrogen phosphate, (NH4)2HPO4, have been used as precursors in wet chemical precipitation synthesis of hydroxyapatite powder. Cement paste was prepared with different powder-to-liquid ratios, varied at 1.0, 1.3, 1.5 and 2.0. The incorporation of PEG was also varied at 1, 2, 3, 4 and 5 wt% at the powder-to-liquid ratio of 1.3. The CPC produced was then evaluated in terms of injectability, setting time and mechanical strength. The results indicated that PEG addition significantly improved setting time, injectability, as well as compressive strength of CPC. Without PEG, the initial setting time ranged between 3 and 122 min, while the final setting time ranged between 5 and 277 min. The addition of PEG has significantly improved setting time where the initial setting time ranged from 47 to 88 min and the final setting time ranged from 182 to 228 min. The extrusion load decreased when PEG was added, which revealed an improvement in injectability; 82.5% without PEG addition and 95.5% when 5% PEG was added. The compressive strength of CPC is in the range of 0.59 to 1.344 MPa and its porosity is in the range of 39.2% to 47.1%. With the incorporation of PEG, the compressive strength greatly increased to the range of 1.167 and 1.786 MPa..
ABSTRAK: Penyelidikan ini melaporkan tentang kesan menambah polietilina glikol (PEG) terhadap sifat-sifat simen kalsium fosfat seperti keupayaan suntikan, masa pengerasan dan kekuatan mekanikal. Kalsium hidroksida dan diammonium hidrogen fosfat digunakan sebagai reagen dalam kaedah pemendakan kimia basah bagi menghasilkan serbuk hidroksiapatit. Pes simen disediakan dengan nisbah serbuk kepada cecair yang berbeza, dengan nisbah 1.0, 1.3, 1.5 dan 2.0. Kemudian, PEG ditambah ke dalam simen kalsium fosfat dengan kepekatan yang berbeza, bernilai 1, 2, 3, 4 dan 5 wt% bagi 1.3 nisbah serbuk kepada cecair. Simen yang terhasil diuji bagi menilai keupayaan suntikan, masa pengerasan dan kekuatan mekanikal. Keputusan ujian-ujian tersebut menunjukkan bahawa penambahan PEG ke dalam simen telah meningkatkan kebolehan simen untuk disuntik, mengurangkan masa pengerasan simen dan meningkatkan kekuatan mekanikal simen. Simen tanpa PEG mempunyai masa pengerasan awal daripada 3 min kepada 122 min dan masa pengerasan akhir daripada 5 min kepada 277 min. Apabila PEG ditambah, masa pengerasan simen menjadi lebih baik dengan masa pengerasan awal daripada 47 min kepada 88 min dan masa pengerasan akhir daripada 182 min kepada 228 min. Peningkatan dalam keupayaan simen untuk disuntik telah dibuktikan dengan pengurangan beban penyempitan apabila PEG ditambah ke dalam simen. Simen tanpa PEG mempunyai 82.5% keupayaan suntikan dan meningkat kepada 95.5% apabila 5% PEG ditambah. Kekuatan mampatan simen bernilai antara 0.59 dan 1.334 MPa dan keliangan simen bernilai antara 39.2% dan 47.1%. Kekuatan mampatan simen meningkat dengan ketara apabila PEG ditambah, bernilai antara 1.167 dan 1.786 Mpa. Dr. Iis Sopyan is a professor of materials engineering at International Islamic University Malaysia and currently a member of European Ceramics Society. He obtained a Doctor of Engineering degree in Applied Chemistry from the University of Tokyo, Japan in 1996. His current research activity involves the development of calcium phosphate ceramics for bone substitutes, polymer composites, biopolymers, and functional ceramics for structural, environmental, and energy applications. Dr. Sopyan has published more than 150 scientific publications in refereed journals. Bohner M. (2010) Resorbable Biomaterials as bone graft substitutes. Materials Today, 13(1-2):24-30. Zhang J, Liu W, Schnitzler V, Tancret F, Bouler J. (2014) Calcium phosphate cement for bone substitution: chemistry, handling and mechanical properties. Acta Biomaterialia, 10: 1035-1049. No YJ, Roohani-Esfahani SI, Zreiqat H. (2014) Nanomaterials: The next step in injectable bone cements. Nanomedicine, 9(11):1745-1764. Barinov SM, Komlev VS. (2011) Calcium phosphate bone cements. Inorganic Materials, 47(13):1470-1485. Dorozhkin SV. (2011) Self-setting orthophosphate formulations: cements, concretes, pastes and putties. Intl. J. Materials and Chemistry, 1(1):1-48. Sugawara A, Asaoka K, Ding SJ. (2013) Calcium phosphate-based cements: clinical needs and recent progress. J. Materials Chemistry B, 1:1081-1089. 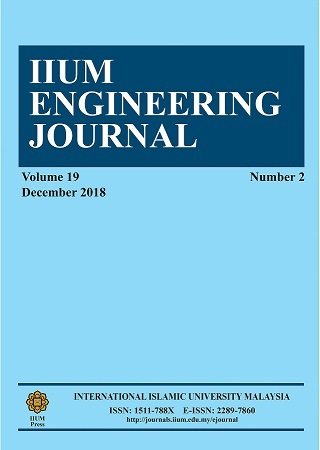 Alqap ASF, Sopyan I, Husni M, Athirah N. (2012) The effects of calcium excess, water amount and mixing time on the injectability of calcium phosphate filling material. Applied Mechanics and Materials, 110-116:8-12. Sadat-Shojai M, Khorasani MT, Dinpanah-Khoshdargi E, Jamshidi A. (2013) Synthesis methods for nanosized hydroxyapatite with diverse structure. Acta Biomaterialia, 9:7591-7621. Okada M, Matsumoto T. (2015) Synthesis and modification of apatite nanoparticles for use in dental and medical applications. Japanese Dental Science Review, 51:85-95. Monmaturapoj N. (2008) Nano-size hydroxyapatite powders preparation by wet-chemical precipitation route. J. Metals, Materials and Minerals, 18(1):15-20. Perez RA, Kim H, Ginebra M. (2012) Polymeric additives to enhance the functional properties of calcium phosphate cements. J. Tissue Engineering, 3(1):1-20. Engstrand J, Persson C, Engqvist H. (2013) Influence of polymer addition on the mechanical properties of a premixed calcium phosphate cement. Biomatter, 3(4):e27249. Chen F, Liu C, Wei J, Chen X, Zhao Z, Gao Y. (2011) Preparation and characterization of injectable calcium phosphate cement paste modified by polyethylene glycol-6000. Materials Chemistry and Physics, 125:81800-824. Hablee S, Sopyan I, Mel M, Salleh HM, Rahman MM, Singh R. (2017) Novel injectable calcium phosphate bone cement from wet chemical precipitation method. IOP Conf. Series: Materials Science and Engineering, 205:012012. Wang P, Li C, Gong H, Jiang X, Wang H, Li K. (2010) Effects of synthesis conditions on the morphology of hydroxyapatite nanoparticles produces by wet chemical process. Powder Technology, 203:315-321. Ungureanu DN, Angelescu N, Ion RM, Stoian EV, Rizescu CZ. (2011) Synthesis and characterization of hydroxyapatite nanopowders by chemical precipitation. Recent Researches in Communications, Automation, Signal Processing, Nanotechnology, Astronomy and Nuclear Physics, 296-301. Eslami H, Solati-Hashjin M, Tahriri M, Bakhshi F. (2010) Synthesis and characterization of nanocrystalline hydroxyapatite obtained by the wet chemical technique. Materials Science-Poland, 28(1):5-13. Azzaoui K, Lamhamdi A, Mejdoubi E, Berrabah M, ELidrisi A, Hammouti B, Zaoui S, Yahyaoui R. (2013) Synthesis of nanostructured hydroxyapatite in presence of polyethylene glycol 1000. J. Chemical and Pharmaceutical Research, 5(12):1209-1216. Wang X, Ye J, Wang H. (2006) Effects of additives on the rheological properties and injectability of calcium phosphate bone substitute material. J. Biomedical Materials Research Part B: Applied Biomaterials, 78(2):259-264. Hesaraki S, Borhan S, Zamanian A, Hafezi-Ardakani M. (2013) Rheological properties and injectability of Î²â€“tricalcium phosphate-hyaluronic acid/polyethylene glycol composites used for the treatment of vesicouretheral reflux. Advances in Biomedical Engineering Research (ABER), 1(3):40-44.